If you are looking for a refreshing cocktail for Cinco de Mayo, you’ve come to the right place. A mojito is the margarita’s crisper, fresher cousin. With rum. And fresh herbs. So, really, I am not even sure that they are related at all. 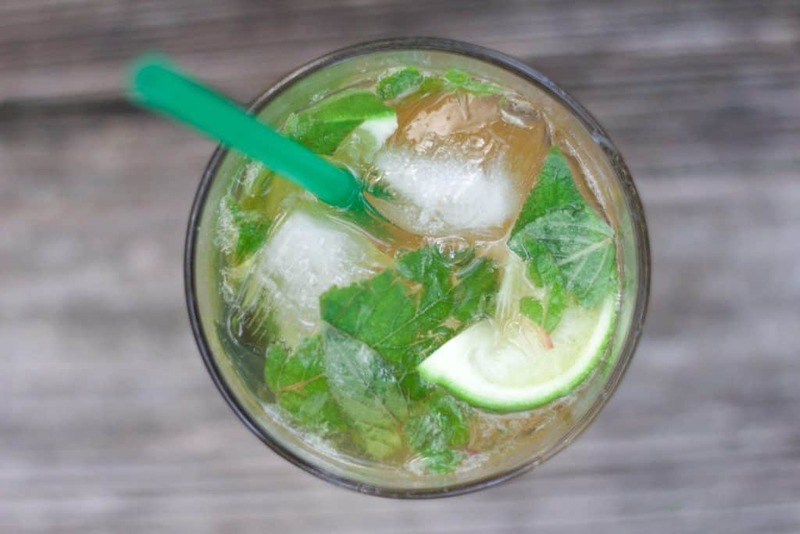 This pineapple sage mojito was made with pineapple sage instead of mint. 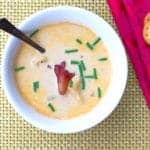 Such an easy swap and it added so much flavor! If you, like me, plant fun herbs and then wonder what to do with them… The answer is cocktails. You can use so many herbs to make flavorful simple syrups to wow your tastebuds and impress your friends. A simple syrup is so easy to make and an herbed simple syrup has so much more flavor and is still just as easy to make. 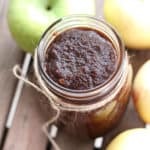 To make a simple syrup, you generally want to use equal parts sugar and water (I like to use a little extra water) and bring to a boil, simmer, and then cool. To make an herbed simple syrup, combine sugar and water and then add herbs. Yup. That’s it. For the simple syrup to make this pineapple sage mojito, I made a small amount of simple syrup – just enough for two drinks. I used 1/3 of a cup of water, 1/4 cup of sugar, and 12 pineapple sage leaves. If you want to make a pitcher of mojitos, just increase the water, sugar, and herbs! Simple syrup is a pretty foolproof endeavor – I promise you can’t mess it up. PIneapple sage leaves … ready to be muddled. 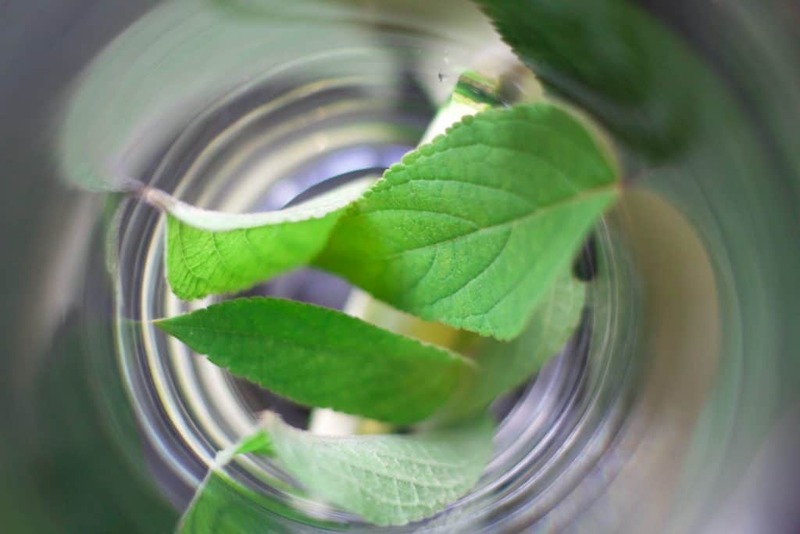 To make the mojito, after making your simple syrup, all you need to do is muddle a few more pineapple sage leaves with a quarter of a lime in a tall pint glass. I don’t have a muddler – I use the bottom of a wooden spoon to mash it up a bit. 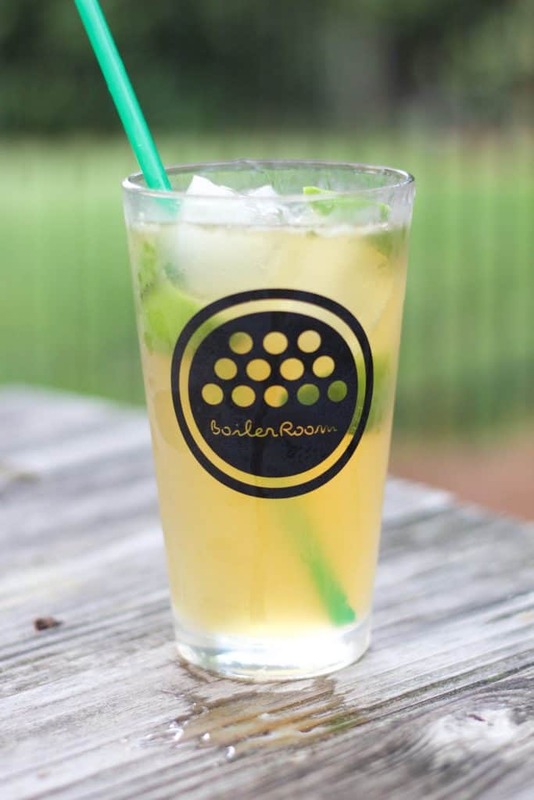 (We are classy over here…) After muddling the pineapple sage leaves and lime, add ice – I used 4 to 5 square ice cubes – squeeze the juice of half a lime over the ice cubes, add 1 1/2 to 2 ounces simple syrup and 2 ounces rum and mix it around a bit. Top it with tonic water. Enjoy! It really is that easy! If you make extra simple syrup, it will store in a jar in your fridge for a couple of weeks. 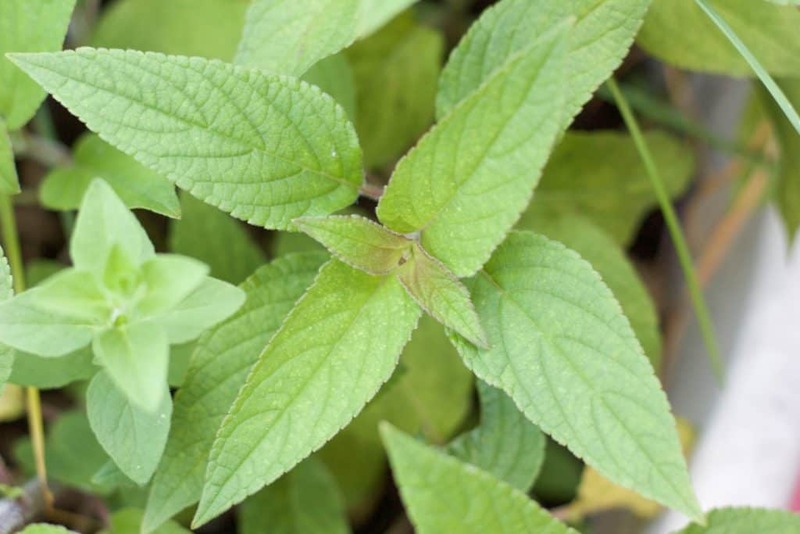 If you don’t have pineapple sage leaves but you do have mint, make a classic mojito! Just swap out the sage for mint. Who else uses fun herbs in their cocktails? Looking for a refreshing cocktail? This pineapple sage mojito is the one! 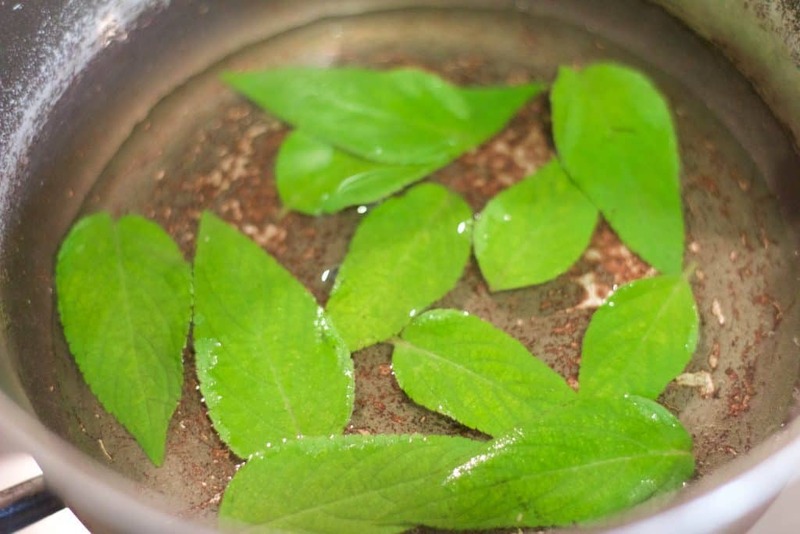 Make a pineapple sage simple syrup: Combine water, sugar, and herbs. Bring to a boil. Let simmer for about 5 minutes. Cool. In a pint glass, muddle 1/4 of a lime with 3-4 pineapple sage leaves. Squeeze half of a lime over the ice cubes. Add 1 1/2 ounces simple syrup (without the sage leaves). Add 1 1/2 to 2 ounces rum. Top with tonic water. Enjoy! What a unique flavor!! Love anything pineapple! Thanks, Rebecca! It really is a unique flavor. This mojito sounds amazing, I definitely need to try this! Thanks, Chrissy! Pineapple sage really has a pineapple taste to it! I love infused simple syrups!! I would love it if you would link this up to tipsy tuesday at Grey is the New Black! Thanks, Pam!! I will! Infused simple syrups are a must! 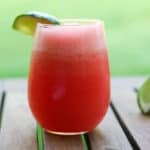 What a fun and refreshing cocktail! 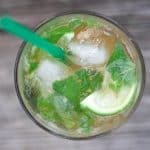 A mojito is generally much more my style than a margarita (I’m so-so on tequila) so this is perfect – and a great spring and summer drink to brighten things up a bit! Yummed and pinned! Thanks, Kathryn! When I am craving something more refreshing, a mojito is definitely the answer. Erin–so refreshing and so tasty!! I am dreaming of sipping this by the pool this weekend! Thanks, Kristen! This definitely a pool worthy cocktail! I have pineapple sage in my garden — perfect! I’m looking forward to trying this! Sometimes I find mint a little overpowering, so this variation should be interesting. I’ve never had a mojito with tonic water, only club soda. I’m looking forward to trying that too. I’ve made rosemary simple syrup. Pineapple sage sounds like it may have a more subtle flavor. 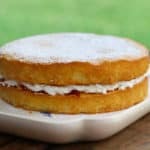 I’m so sure I’ll like it, I posted your recipe link on FaceBook! Thanks so much, Mary Beth! If you have made a rosemary simple syrup, I think you are going to like the subtle sweetness of the pineapple sage simple syrup. I am such a sucker for herbed simple syrups! You really can’t go wrong!